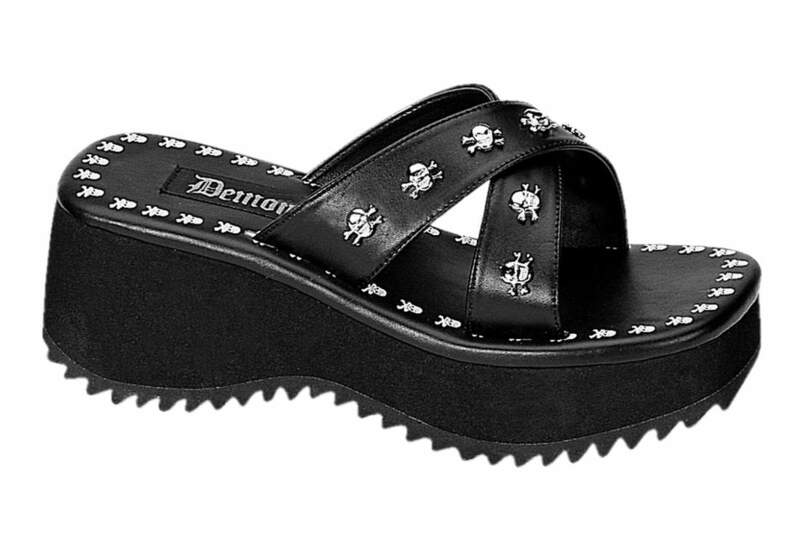 A really fun pair of sandals the Flip-05 is gothic 2 1/2 platform skull print and studs black Pu sandals by Demonia. Perfect to the beach or just around town when the weather get hot. 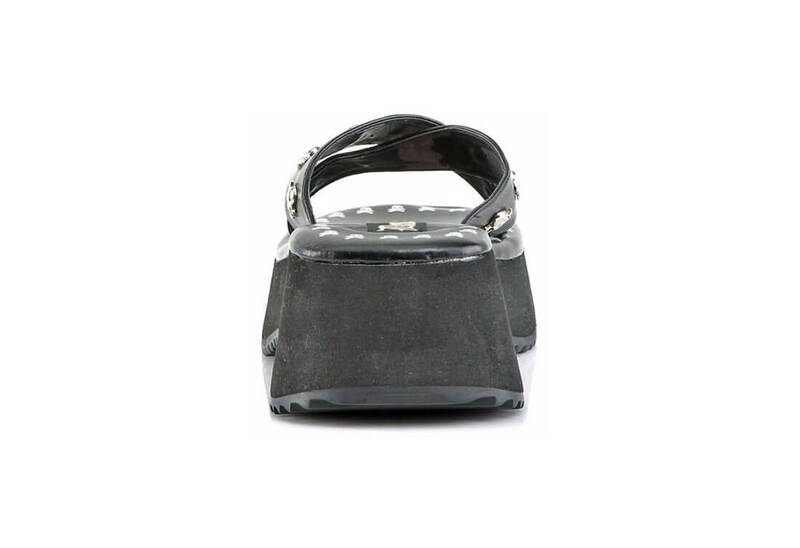 I HAVE BOUGHT THREE PAIRS OF THESE SHOES I LOVE THEM I WEAR THEM UNTIL THEY WEAR OUT AND I BUY THEM AGAIN THEY ARE COMFORTABLE TO AND I LOVE THE SKULLS ON THEM TO BY THE WAY IM A SKULL FANNATIC THANK YOU!!! HOPE EVERYBODY ELSE ENJOYS THEM AS MUCH AS I HAVE!!! 8 people found this usefull. Was this review helpful to you? These are very cute and comfortable after the "break-in" stage!